When it comes to home décor, there is no scarcity of interior design objects in the modern world. However, when it comes to unique interior design objects, they can be rare to find and obviously will be very costly. Thankfully, there is a group of interior design elements which are unique and are very affordably priced. 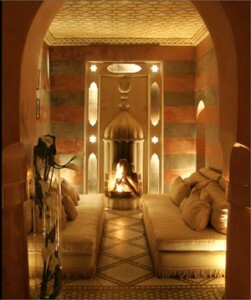 Moroccan styled interior design is fast becoming a great trend worldwide. Moroccan interior design has gained huge popularity since the renovation of the Riad traditional Moroccan house. You can bring the marvels of the Moroccan interior design to your home by wisely choosing the home décor elements. According to expert interior designers, home décor without unique furniture will be incomplete. One of the main advantages of using Moroccan furniture in home décor is it offers great functionality combined with unique looks. The problem associated with most modern furniture is that they will have unique style but most of them will have zero usability. This disadvantage is overcome by the use of Moroccan furniture. Moroccan furniture gives great value for money. According to real estate experts, homes decorated with Moroccan furniture will have great face value when compared to others. Lighting is a critical part of home décor because proper lighting will greatly increase the beauty of the room. You will be well aware that ambient soothing lighting will make any home look peaceful and calm. This is where Moroccan lighting comes into play. You’d have noted that Moroccan home décor will enhance peacefulness. This is made possible with the help of the lighting effects cast by Moroccan lighting fixtures. This entry was posted in Designers, General and tagged accessories, design, furniture, lighting, living, soft furnishings, style, Designers on June 19, 2013 by Andy. Exclusive honey pot in the distinctive style of the ZACK design label. This article is distinguished by its straight lines and clear geometry combined with a contrasting mixture of materials. 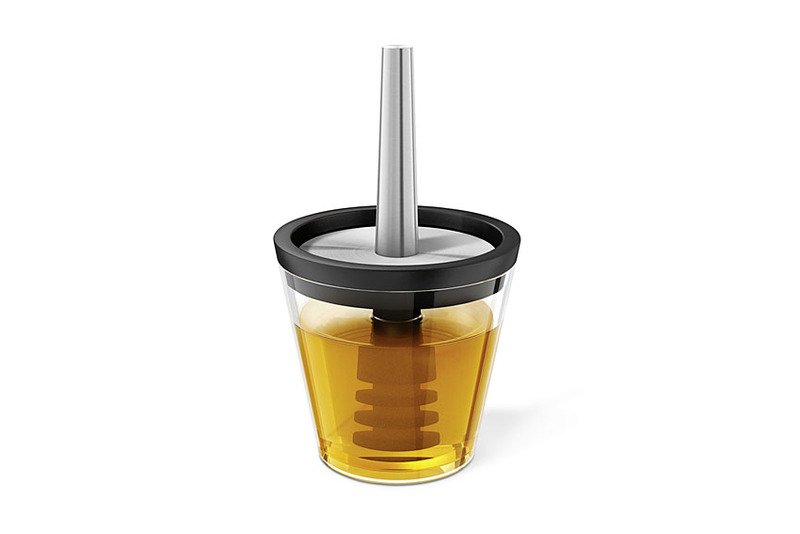 The honey pot itself consists of transparent plastic with bordering made of black plastic in a matt surface finish. The honey dipper is made of black, slightly pebbled plastic and brushed satin stainless steel. This entry was posted in News and tagged kitchen, living, Product Review, table, Zack, Designers on April 11, 2013 by Andy. Front was inspired by the long life of a LED lamp. Its burning time of almost ten years makes it possible to create a lamp you never need to change the bulb of. The inner dome softens the light and creates the illusion of a lamp without a bulb, blurring the boundary between lightsource and lampshade. booo studio presents an innovative collection of design lighbulbs by Front Design, Nacho Carbonell and Formafantasma at Spazio Rossana Orlandi in Milan. booo studio is a new company based in holland and composed by an team coming from different fields and countries to work in between avantgarde design and mass production industry. The result of this research is two collection of lightbulbs one meant for the mass production and one more experimental and released in a limited edition. The main collection is designed to not need any additional lamp or lamp shade: the lightbulb becomes also the lamp. Thanks to the new LED technology development these designers have approached the design of a lightbulb in full freedom. They've created products which combine state of the art technology with revolutionary aesthetics. At the same time booo products are aimed to be perfectly produced in a mass production process in terms of costs and prices and it fits perfectly both the consumer and the contract market. booo wants to play a new role into the design industry as a connector between two worlds which has been separated for too long. At the same time booo develops new technologies inspired by the continuous interaction with the designers and patents them, like ‘Smartbulb’ an innovative system of remote controlling based on wireless technology. The Limited edition collection is intended to be experimental and we left the designers completely free to investigate the possibilities of LED even with the use of innovative and not conventional materials. The limited edition collection also represent the laboratory for future use of LED resources. This entry was posted in News and tagged design, eco-design, environment, lighting, living, style, Designers on April 25, 2012 by Andy. Ok, it's more funky than functional but I just spotted this from Dutch designer Tim Vinke. The Office on Wheels, or het Kruikantoor which is a combination of the Dutch (I think) words for wheelbarrow and office which seems apt! It certainly brought a smile to my face. Manufactured from polystyrene with a hotspray polyurea coating and available in a wide variety of colours it pretty much does what it says on the tin. The image speaks for itself I guess. Practical? Probably not. Amusing? Certainly. Clever? Absolutely. This entry was posted in News and tagged design, Designers on June 29, 2010 by Andy. News reaches me from Paris based designers Aki and Arnaud Cooren of the A+A Cooren Design Studio of the launch of this very limited edition vase with just 21 pieces in production. The designers tell me that the vase is the result of a meeting between computer technology and high quality French craftsmanship. The vase is composed of two parts in borosilicate glass, the main vase part and a small cup which receives water. The image speaks for itself. Outstanding. And I want one! This entry was posted in News and tagged living, Designers on June 23, 2010 by Andy. Cycle culture is gaining in popularity, and for new cyclists it can be hard to feel confident sharing space with cars on the road. With this in mind Dundee University based product designer Fraser Mort has produced Bike Light to make cyclists feel more confident. Bike Light is an LED dot matrix, where the cyclist can design and download their own personalised graphics, animations or phrases to use for their rear light. Cool! This entry was posted in News and tagged design, Designers on May 6, 2010 by Andy. Dutch designer Frederic Roijé presents his new project, an architectural hen house in which to breed and retreat. It is manufactured in wood finished with a durable coating. The concept behind the design is "respecting nature". I think that the image speaks loudly. I say "lucky hens!". This entry was posted in News and tagged design, Designers on April 6, 2010 by Andy. Latis is a bathroom creation from Australian company Omvivo. It is inspired by the fundamentals of tradition and quality. Simple forms combined with elegant materials, such as natural stone, to create a sculptural range of bathroom products that will compliment both modern and traditional spaces. The designer is Thomas Coward, principal designer at Omvivo. Coward moved to Australia in 2004 from the UK. In 2005 Coward was recognised as one of Australia’s top 50 emerging designers, and his Parli-me chair was selected as one of only 16 exhibitors for the City of Milan’s young foreign designers showcase. This entry was posted in News and tagged bathroom, Designers on March 26, 2010 by Andy. Intriguing to look at. Practical in use? Well, time will tell I guess. We hear that Magis will be launching Spun, a rotating outdoor stool designed by British architect and designer Thomas Heatherwick, at the next Salone Internazionale del Mobile in Milan, 14-19 April 2010. The chair is in rotational moulded polyethylene and is, allegedly, suitable for outdoor use. For me, the jury is still out and I wonder if this is design for the sake of design with little or no consideration for its practical use. I hope I am wrong, however, and that it proves to be a huge success. This entry was posted in News and tagged design, Designers on March 24, 2010 by Andy.